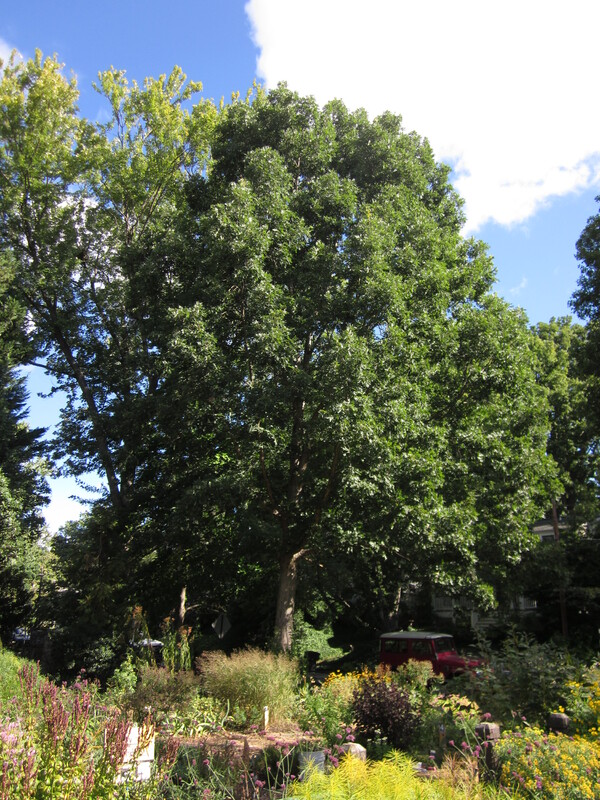 A beautiful Quercus Alba (White Oak) at the Sunny Demonstration garden. You will need plenty of space for this beauty, which can spread wider than it is tall, maturing at over 100 feet. Often dominant in the canopy, the State Tree of Maryland supports 80 birds and mammals and up to 534 Lepidoptera species. How fitting that the largest recorded US specimen lived on Maryland’s Eastern Shore. At nearly 500 years old, the majestic Wye Oak fell in 2002. The Virginia Native Plant Society honored White Oak* as Wildflower of the Year in 2011. This entry was posted in MG in the Garden, Tried and True Native Plant Selections for the Mid-Atlantic and tagged quercus alba, Tree, Tried and True Native Plant Selections for the Mid-Atlantic, white oak. Bookmark the permalink.